© 2010 Street Art London. All rights reserved. 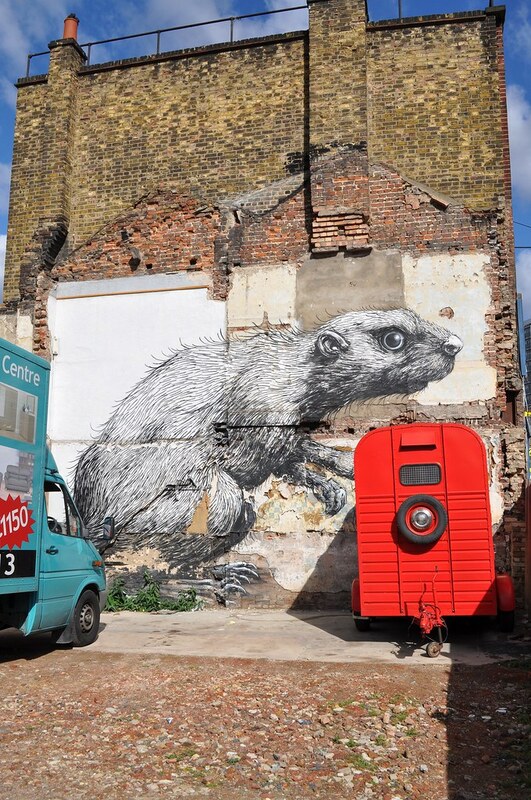 Roa, a hugely talented Belgian street artist from Ghent, is renowned for his giant black and white animal street art. 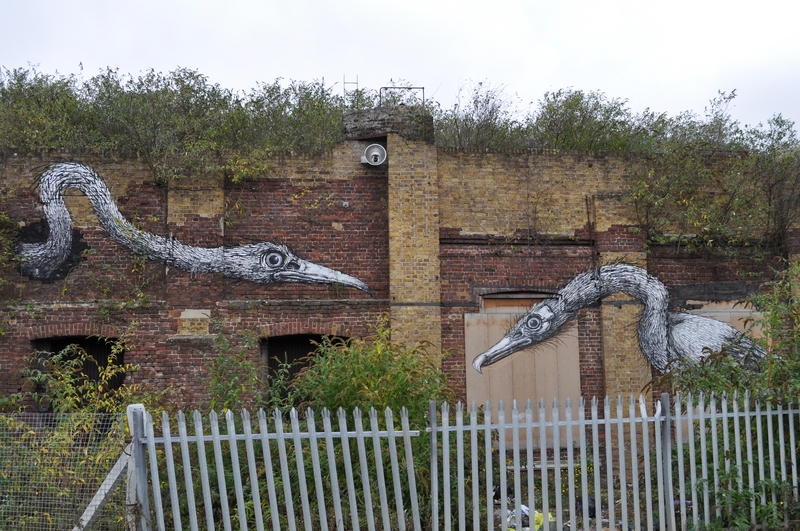 Roa started off in the street art scene painting animals on abandoned buildings and warehouses in the isolated industrial areas of his hometown. 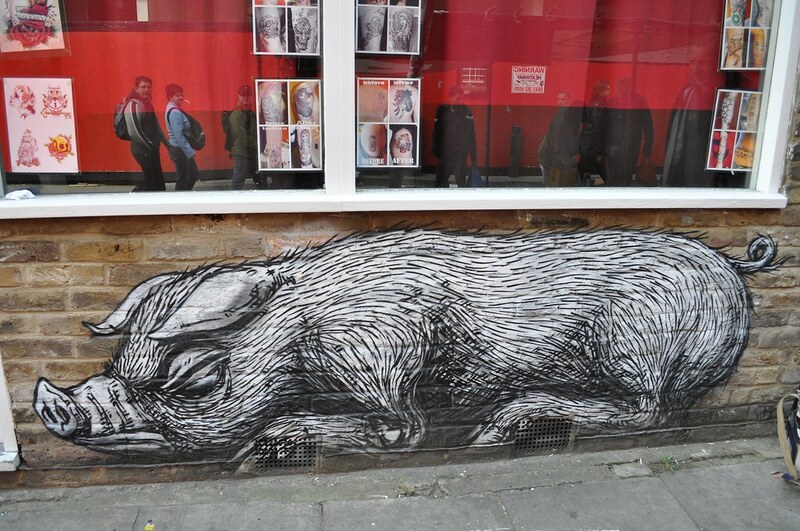 Today, Roa’s animals may be found slumbering on the sides of semi derilict buildings and peering out from shop shutters in citiy streets all accross the world from New York to Berlin and Warsaw to Paris. 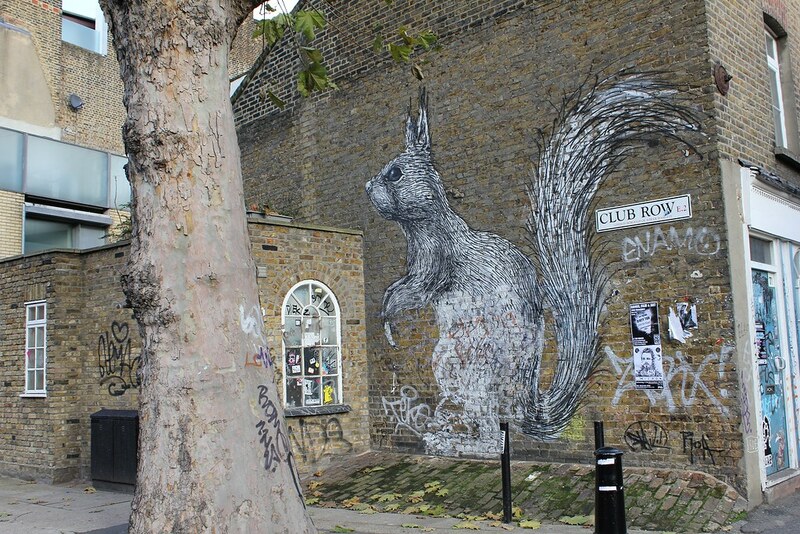 Roa has visited London on a number of occasions and left his mark. 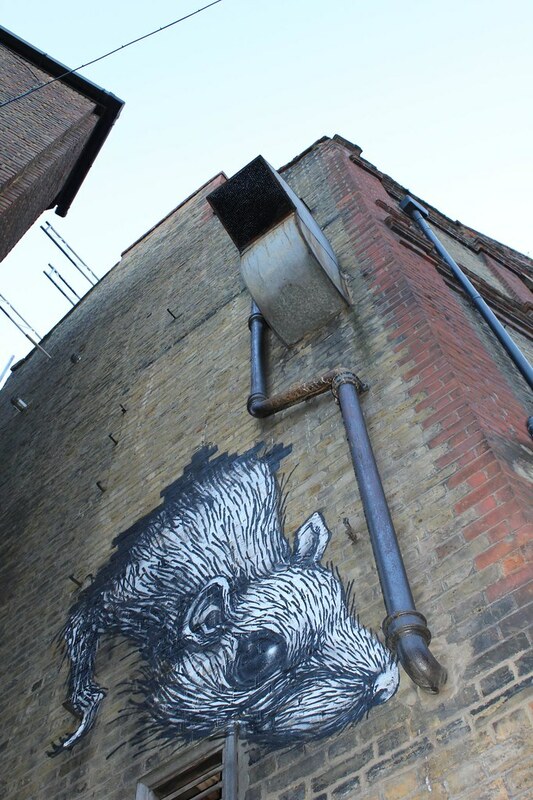 His animals inhabit a number of walls across Shoreditch and, in particular, around Brick Lane. 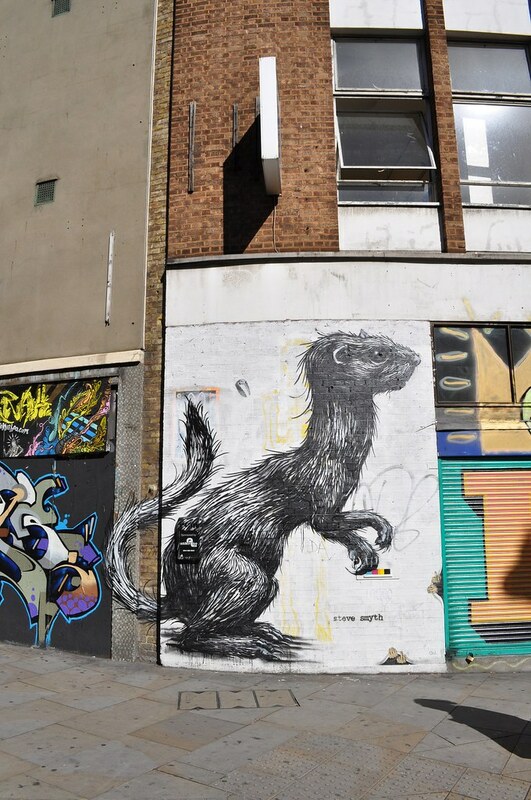 Roa’s street art has a huge visual impact, being both visceral and feral, and he succeeds in juxtaposing nature and the urban environment. 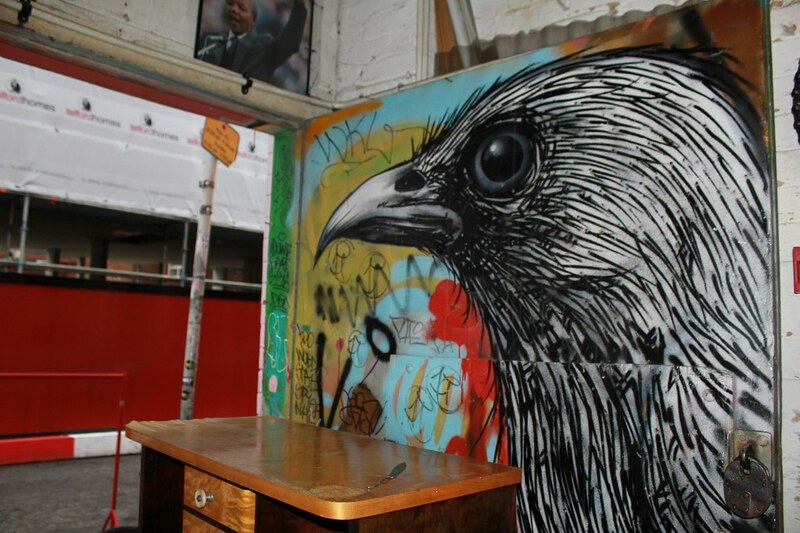 The huge scale and highly intricate nature of Roa’s street art means that pieces take many hours to paint. 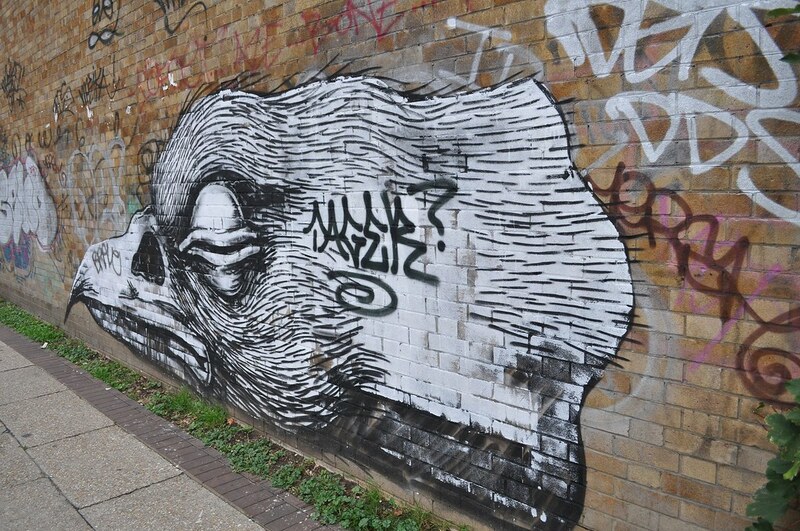 Consequently, most of his pieces are done with permission which means that his works usually stick around on the street for a while (notwithstanding the efforts of local London Councils). 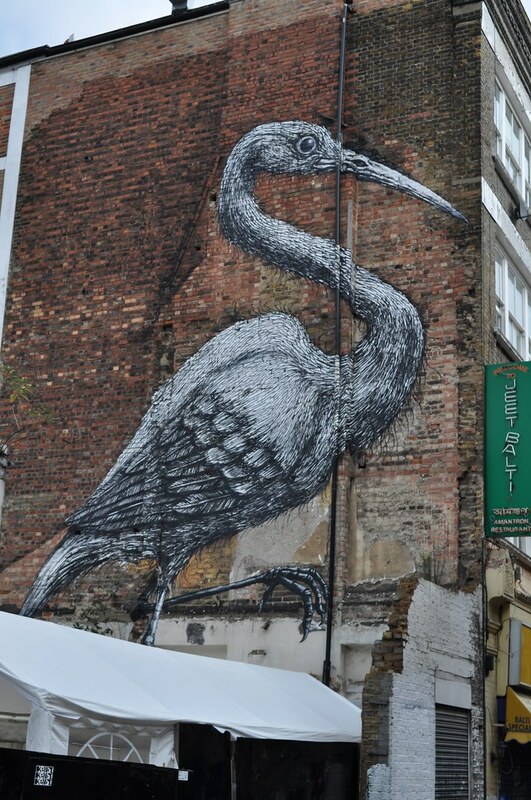 By: Street Art LondonFiled under International Street Artists. Bookmark the permalink.